Wondering why you should Use WordPress for Blogging in 2018? WordPress is the most popular content management system (CMS) worldwide. It’s a proven software trusted by large companies, small businesses and millions of web site owners. WordPress powers around a quarter of all new web sites today and has been continually refined and improved for over eight years now. New versions of WordPress currently get over 10 million downloads each time a new version is released. WordPress is extremely easy to use and requires no coding experience or expert knowledge. If WordPress has you frustrated, sign up for the video training from the team at WP101, lifetime access, always current videos to help you with any WordPress challenge. This guide contains affiliate links for your convenience. You can read my affiliate link disclosure here. WordPress was designed for publishing content online. WordPress is not just a website application, it’s also a powerful content-publishing platform. WordPress has features that automate the process of sharing content online and attracting readers and visitors to your site. Some of these features include the ability to automatically notify social networks whenever new content is published on your site, optimizing your site for best search engine results, and giving your visitors the ability to subscribe to your content via RSS feeds or email. It provides you with a fast, light and free content management system that has sensible default settings and features and an extremely customizable core. WordPress typically releases a new version with security updates, bug fixes and improvements made to the previous version every 3-4 months. It’s a robust and fully-supported application that is continually being improved. WordPress is backed and supported by a vibrant community of thousands of users and hundreds of web developers. All of who continually work on improving and refining the software. This means that most bugs, errors, challenges or vulnerabilities get picked up quickly whenever new versions are released and are then addressed in the next version. WordPress can handle your entire workflow, from initial draft to publishing. WordPress has built-in features that allow you to collaborate with others and review your content, spelling, grammar, etc. without the need to send e-mails back-and-forth or use expensive desktop software. Which that lets you effortlessly integrate rich media, images, videos, music, audio and documents into your content, and a media browser to help you store, organize and find your files. WordPress provides a “distraction-free” writing platform. Allowing you to focus on your ideas and concentrate on creating your content without getting sidetracked by distracting features like texts, tweets and status updates. So you won’t lose any of your content if your computer crashes or you make a mistake. WordPress also allows you to restore previous versions of your work with a single click. With WordPress, you can schedule your content to be published on any date and time you specify, giving you full control over your publishing timeline. With mobile applications for pretty well every platform including your smart phone you can write your content when it fits your schedule. WordPress provides several levels of password protection for your site and content. You can protect individual posts or just parts of your content from public viewing, or even make your content completely private and accessible only to individual authors, members, or registered users with assigned roles or privileges. WordPress lets you save your content as a draft. This means you can save any unfinished articles or posts you are working on without publishing them (i.e. making them publicly visible), then come back and improve or rework your saved drafts later and only publish them when you’re happy to make your content public and visible online. WordPress lets you preview your posts “live” just as they will appear when published, without requiring you to publish your content first. This means you can get your content looking exactly the way you want it to look to your readers before publishing your articles, pages or posts live. The WordPress content publishing platform is designed to make your site conform to your content, not the other way around. This is achieved using a powerful feature called a “WordPress Theme” – a full theme system which allows you to quickly and easily change the entire design of your site with a single click of the mouse without affecting your content. With WordPress Themes, you can literally change the look and feel of your entire site instantly and as often as you like. WordPress allows you to organize your content by day, month, year, author, tag, or category. WordPress also creates browse friendly archives dynamically to display your past content and provides a number of features to help keep everything looking up to date. Regardless of how much content you have on your site, you can keep it organized and easy for your site visitors to find. WordPress has a powerful built-in search function that allows your site visitors to quickly find the relevant content they’re looking for. WordPress is also flexible when it comes to giving site owners search functionality. You can use the WordPress built-in search box, or choose to use an external search engine like Google instead. WordPress has a built-in feature that automatically converts your new posts and pages URLs into “human-friendly” and “search engine-friendly” URLs that describe what your content is about. Working seamlessly in the background while you work on your content to provide your posts and pages with seamless typography. 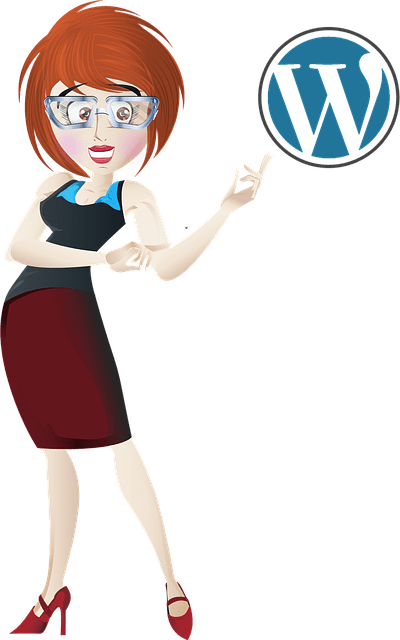 WordPress uses the Texturize engine to intelligently convert web-unfriendly characters like quotes, apostrophes, ellipses, em and en dashes, multiplication symbols, and ampersands into typographically correct HTML entities. WordPress has been translated into more than 70 different languages. You can create a site that is localized for a specific international audience and delivered in a language of your choice. That can help you administer and fully customize just about every aspect of your site – from site menus to site layout and dynamic functionality on individual pages. WordPress lets you assign multiple users on your site and define different roles and privileges for each of your users. You can also configure your site to let users register themselves and either publish content on your site, or require content to be submitted for review and approval by the site administrator or other users before publishing. WordPress provides extensive functionality by default and can be used right out-of-the-box. With WordPress, you don’t have to reinvent the wheel. With a little customization, however, you can truly unlock the power of WordPress and create a unique online vehicle adapted to your specific needs. WordPress source code is open and transparent. WordPress makes its code freely available. This means that anyone can take the code apart, use it to build new applications and improve any existing feature in the software. Add to this the fact that WordPress is built by a dedicated community of professional developers, academics, and enthusiasts, and you have a powerful online publishing platform with a rapid development cycle, frequent updates, software that is always up-to-date, no licensing fees or direct costs, and ongoing support from an international community of professional developers. Unlike many other publishing platforms, WordPress does not lock you into using proprietary data formats. WordPress believes that you should do what you want with your data and relies on open standards that enable you to take your data with you. WordPress even makes available tools that allow you to seamlessly import data from other popular platforms like Movable Type, Textpattern, Greymatter, Blogger, b2, Nucleus and pMachine (and we can help you with the process). WordPress offers users a fully hosted option, as well as the option to run WordPress on your own domain. If you are planning to run a commercial website or blog, we recommend hosting WordPress on your own domain (often called self-hosted WordPress), as this gives you the most amount of freedom and flexibility. WordPress was designed to be installed on your own web server, in the cloud, or in a shared hosting account. You can even install WordPress on your personal computer, or on a corporate intranet. Wherever you choose to install it, you have complete control and are able to access and modify everything related to your site. This technology allows you to control one or thousands of WordPress sites from one administration panel and is currently used to power over 20 million sites on WordPress.com and global sites like CNN and the New York Times, as well individual sites in networks, organizations and universities. Multi-site technology allows each individual user to have full administrative control over their own site without any security concerns. Each site can also have its own design (theme), individual functionality (using plug-ins), and manage its own users. Super administrators can implement network-wide policies and deploy security, plugin and theme updates at the click of a button from one central location. WordPress updates content displayed to visitors on your site fast. WordPress uses dynamic page generation technology to generate page requests by viewers on your site directly from your database and templates. This uses minimal server storage space and makes updating your site, or your site design extremely fast. WordPress uses templates to generate your site’s pages dynamically. With WordPress, you don’t have to mess at all with design templates if you don’t want to. You can just browse thousands of ready-made premium quality WordPress themes from professional design companies that already have the look and feel you have envisioned for your website (most premium themes offer built-in features that allow you to further customize the theme) and purchase the theme for just a few dollars (most premium themes can be purchased for anywhere between $10 – $100). WordPress software is stable, secure and robust. Because WordPress has such a wide user-base numbering in the millions and a dedicated open-source community, vulnerabilities are quickly discovered, and patches are developed and often released by a dedicated security team within hours of being reported. WordPress has an integrated core-update system, which means that patches are deployed at the click of a mouse button. Additionally, WordPress sanitizes all user input, restricts URL access, has an extensive user permissions system and never stores passwords in an unencryptable format. Because WordPress offers a hosted option (at WordPress.com) it can use the site’s 20 million users as beta testers before releasing a new version, so when new versions are released, users can be confident that the new version is pretty stable. The WordPress core application relies on its own extensive APIs (Application Program Interface). This allows developers to quickly and effectively modify and customize the application to suit their unique needs and helps WordPress integrate seamlessly with other existing systems. WordPress has already been adapted to perform in various enterprise environments. It provides support for a number of enterprise-centric features such as Active Directory authentication, user management, work-flow integration, scheduled backups, and more! WordPress notifies you whenever there are new updates to the software, plugins and themes, and these can be performed with a click of the mouse. WordPress lets you specify which HTML tags users are allowed to add when posting content on your site. WordPress also provides you with a built-in default list of safe HTML tags users can add in their comments and posts, so that the safety of your data or server is not compromised by malicious users. WordPress code is fully compliant with the standards of the W3C. The World Wide Web Consortium (W3C) is an international community that develops open standards to ensure the long-term growth of the Web. Being standards-compliant is important not only for interoperability with current internet browsers but it also ensures forward compatibility with future tools and technologies. WordPress is so much more than just a blogging tool. WordPress is the most widely distributed content management system (CMS) technology in the world today and is used to power millions of commercially-driven websites. With WordPress, the distinction between a “blog” and a “website” is becoming increasingly blurred, especially since most of the time WordPress isn’t even used as a blog. In fact, chances are that many of the sites you are probably visiting right now are powered by WordPress. WordPress makes it easy for users to subscribe to your content using “rss feeds”. RSS stands for Really Simple Syndication and WordPress fully supports protocols such as RSS 1.0 (RDF), RSS 2.0 and ATOM specifications. Almost every page on your site has an associated feed that your readers can subscribe to (e.g. latest posts, categories, comments, etc.). WordPress also fully supports RSS 2.0 with enclosures, which allows you to mp3 files such as podcasts to your RSS feeds. WordPress helps you create maximum exposure for your sites online and in search engines automatically. WordPress comes with two ways of automatically connecting your site to other sites (and enabling other sites to do the same to your site), called PingBack and TrackBack. You can also configure your WordPress site to automatically notify dozens of blog directories as soon as new content is posted using the PingBack function. WordPress promotes interactivity and community-building on your site. You can interact with your site visitors through the use of built-in features like comments, trackbacks and pingbacks. Visitors can leave comments on individual entries on your site, and you can then reply to their comments. You can also delete inappropriate comments, and enable or disable comments on a per-post basis. WordPress helps you manage and eliminate comment spam on your site. WordPress comes with default tools to help you fight spam. You can also control spam using plugins and by moderating your “comments” settings. For example, you can moderate all comments before they appear on your site, block comments with specific words in them, block comments posted from specific IP addresses, and block comments containing more than a number of specified links. WordPress can send out automatic notifications. For example, WordPress notifies you via email each time there is a new comment or a comment awaiting moderation. WordPress has a built-in user registration system that you can configure to allow people to register, maintain profiles and post comments on your site. You can decide whether registered users can leave authenticated comments on your site, and you can also choose to close comments for non-registered users. Additionally, there are plugins you can use that will hide posts from lower level users. WordPress development is guided by a set of unwavering principles. These principles include being able to work right out of the box, designing for the majority (but being mindful of the vocal minority), striving for simplicity, and keeping the code clean, lean and mean, among other things. WordPress currently provides users with access to more than 20,000 free, open-source plug-ins and themes. This library is growing every day. This means that your WordPress site can do virtually anything you can imagine or want from a website in terms of functionality, and look as unique as you want it to in terms of design. WordPress is 100% free to download and use. You can install WordPress on your own domain and do whatever you like with the WordPress code. You can extend or modify WordPress however you choose, and use it commercially without licensing fees or restrictions. WordPress is “free” not just in terms of price, but also in terms of the amount of control you have over using it. For example, you have the freedom to run the program, for any purpose, the freedom to study how the program works, and change it to make it do what you wish, the freedom to redistribute the application, and the freedom to distribute copies of your modified versions to others. With literally tens of thousands of free plugins that extend what WordPress does and free themes that completely change the way WordPress looks, all you need is WordPress, a domain name and web hosting. Most of the power of WordPress is available to you for little to no cost. Doesn’t it make sense, therefore, to consider using WordPress to power your new web site, or switch your existing web site to WordPress and start growing your web presence using an online vehicle that is more powerful, more flexible, more scalable, less restrictive, cheaper to run, easier to use and fundamentally “smarter” than any other online publishing platform or content management system available? Thanks for sharing! I started my blog with Blogger but then realized that WordPress would fit my needs better for all the above explained reasons. I made the switch (without intensive hands-on – here’s the tool https://goo.gl/mLQyZc) and have had zero regrets. WP is a dream come true for the majority of users willing to create smth that looks good and works well and manage it effortlessly. I completely agree Natali. WordPress has made it so much easier for the small and micro business owner. Thanks for the reference to the migration tool, looks like something that could be really useful!